Good morning! 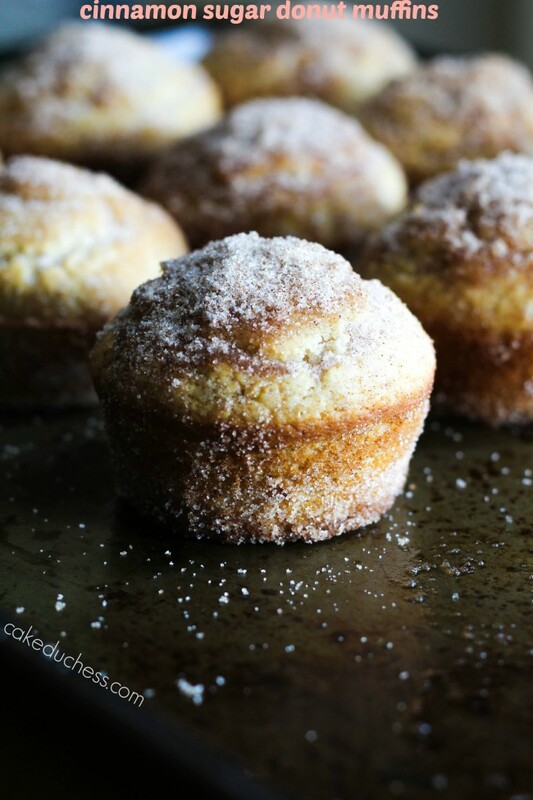 I made you some cinnamon sugar donut muffins! I think that muffins are highly overrated in the baking department. Why are they overlooked for other sweet items? Muffins are so easy to put together. They are low-fuss and you can do so many different things with them! 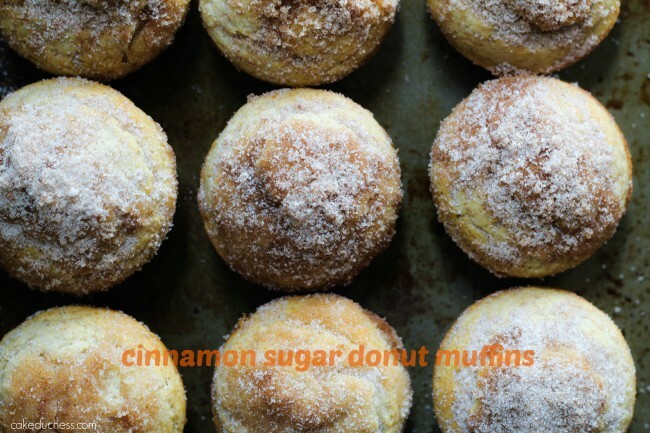 What about a cinnamon sugar donut muffin? I don’t believe you could say no to one (they’re small, have 2! )with your morning coffee, tea or hot cup of cocoa. Seriously! 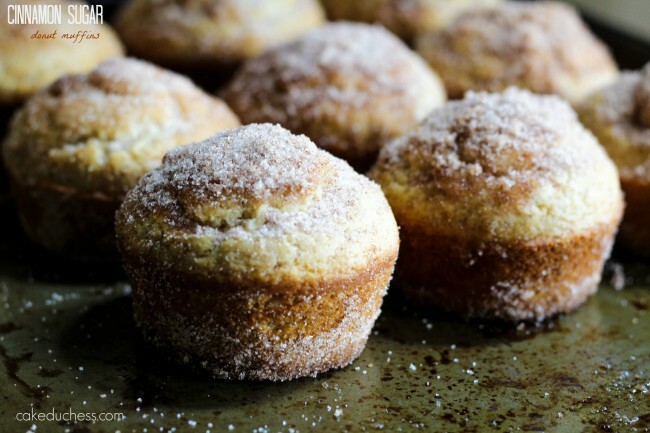 A cinnamon sugar donut muffin is almost like a cinnamon sugar donut. But it’s not a donut, it’s a muffin. Just a muffin! Just a muffin? Well, it’s not just a muffin…it’s a pretty fantastic muffin! Hey, did you know that the word duffin was even trademarked by Starbucks? I’m just going to stick to calling these a donut muffin! Fall baking means more comfort recipes in our house, and most of them involve pumpkin this time of year and I bet you were expecting these to be with pumpkin, but ha! I got you! They aren’t. If you have to see something, any thing pumpkin, take a look at the roundup I just posted. But back to these lovely muffins that are simple, delightful and part of another #bloggersCLUE event! I was assigned Christy from Confession’s of a Culinary Diva’s blog. Christy likes a lot of things I do…so it was fun to explore her blog! She has a passion for French food and even posts about Italian dishes and wine. There were so many delicious things to decide on, I even was very tempted with her pumpkin cheesecake. It looked fantastic!! As I mentioned before, I tried to not go with the obvious: pumpkin! The blogger C.L.U.E (Cook, Learn, Undertake, Eat) Society meets every month in a game of mystery, intrigue, and fun! We are given a theme and secretly assigned another member’s blog; our mission is to hunt through our assigned blog to find a recipe that fits the theme through our eyes. We then head into the kitchen and recreate the recipe and post together on reveal day! Today is reveal day, and this month’s theme is: comfort food. Check out all the lovely recipes my fellow Blogger C.L.U.E. participants are sharing today. Preheat oven to 350 degrees F. Line 12 muffin cups with muffin liners or spray with nonstick cooking spray (or oil). Sift together flour, baking soda, salt and spices. In a separate bowl, stir together the oil, sugar and buttermilk. Add the wet ingredients to the dry. Mix well. Spoon batter into the muffin tin. For topping, in a small bowl, combine the melted butter, sugar and cinnamon. Bake for 20-22 minutes, until a toothpick inserted near the center comes out clean. Cool for 5 minutes before removing from pans to wire racks. While the muffins are still hot, dip them in the melted butter and then roll them around in the cinnamon sugar mixture. Let cool on a rack or eat immediately and enjoy!